How much do your bags weigh? How heavy is 23 kg? Here are some tips to avoid any unpleasant surprises at the airport. Veganhop photo. Here Are Six Tips for Avoiding Excess Baggage Fees at the Airport--50 lbs or 23 kg is the limit. How much does a full suitcase weigh? How heavy is 23 kg? These are the questions travelers ask! 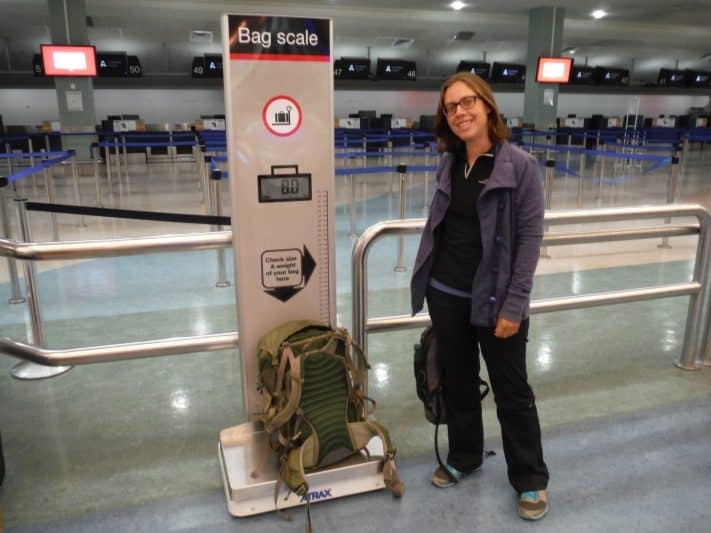 Nothing says a ‘mood killer’ than having to pay for unexpected excess baggage fees at the airport, whether you’re simply on an adventurous quest abroad or packing to head off to university and have got a lot of unaccompanied baggage that you require to be shipped. How much does a full suitcase weigh? After all the airfare increases, the most ‘sensible’ advice the airlines seem to provide is to “pack light”. 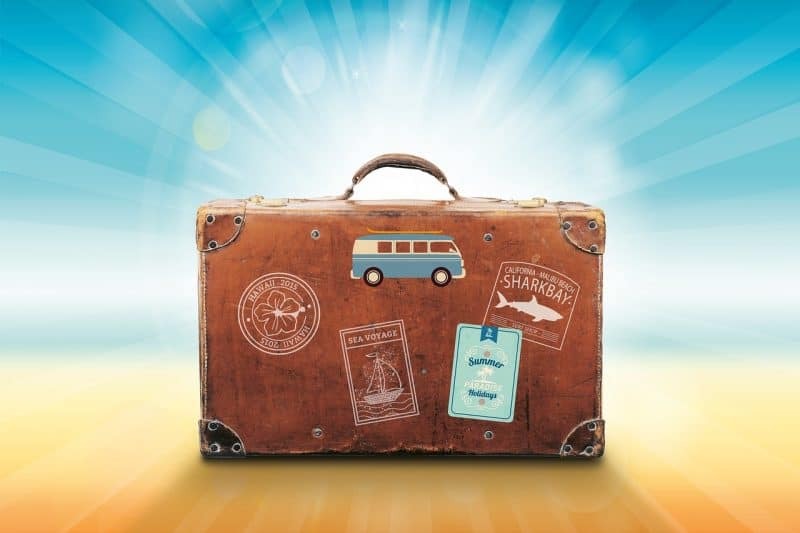 That’s undoubtedly easier said than done, especially when it comes to traveling as a family with young children, or expats that wish to move abroad with most of their personal belongings. Read on to pick up some tips on how you could travel stress-free and save those extra baggage costs! 1. Choose your airline carefully and read up on their airline baggage information. The table below outlines most of the major airlines and the excess baggage charge associated with each of them, just so you can get a rough idea of how much you’re paying if you were to arrive at the airport with your bags. It is essential that you learn about the airline baggage policies before you embark on your travels and how many free checked bags you are entitled to depending on your class of service, route/destination, and flight service courier. For example, airlines such as Southwest, which allows two free checked bags per person, while others would only allow one. 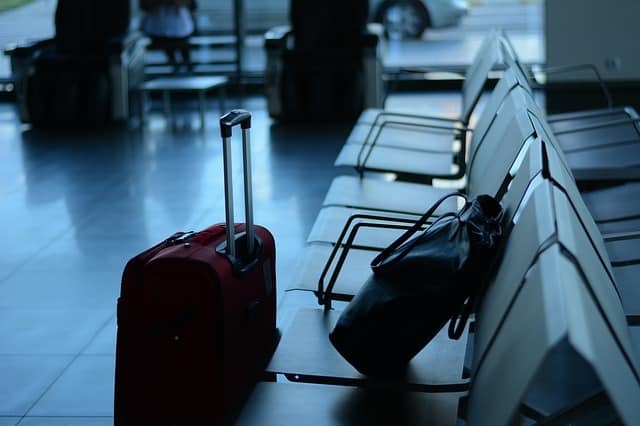 It may be worthwhile to purchase a ticket from airlines that enable you to check in more baggage free of charge than opting for the cheapest possible economy fare that would demand more excess baggage fees in total. How Much Does a Full Suitcase Weigh? and How Much will it costs if its overweight? Note: Oversized or overweight baggage may be classified as cargo and subject to further fees if exceeding airline max weight restrictions. Thus the fees would depend on route and/or destination. 2. Weigh your baggage in advance at home. Why not invest in your own electronic hanging scale that would give you a clear indication of how much your baggage weighs exactly. Just so you could avoid that embarrassed surprise at the check-in counter as well as the awkward conversations if the flight customer service agents happen to be not all that lenient about the extra weight. 3. Pack smarter, not necessarily lighter. A conventional piece of advice would be to remove the bulky and heavy clothing items and wear them instead whilst taking some weight off your luggage and making room for more belongings. Jackets and sweaters do not count as carry-ons as long as you’re wearing them. Furthermore, decide which items you can leave without and purchase them once you’ve arrived at your destination. These things can be shampoo and conditioner bottles, as well as cutlery or plates. ...in order to maximize your checked baggage allowance instead of heavy duty suitcases that will only significantly increase the weight of your overall luggage. Older suitcases have heavy frames that could be the culprit of why your suitcases always seem to weigh more than they should. 5. Special Luggage can fly under the radar. Some airlines have just announced that they are transporting sporting equipment such as bikes for the same fee as a checked luggage fee. Many cyclists have evaded the hefty fee by simply dismantling the bicycle and packing in the frame in an unmarked box and the wheels in another. As long as it is inconspicuous that you’re transporting a bicycle, you’re more than likely to avoid the excess fee. This is the same for any other special equipment in the ordinarily packaged bag without being risking it being damaged, then there’s no reason not to. 6. Check in early and pay the fees in advance. If the worst comes to worst, and the excess baggage fees are unavoidable, attempt to arrive early at the check-in counter as the customer service agents are likely to be more lenient with slightly exceeding the weight limit compared to latecomers. These baggage fees are significantly cheaper if you make the payments online ahead of your scheduled flight compared to phoning the customer service or - arriving at the airport on the day. Annie Thompson is a freelance writer who lives in London and works for UniBaggage.com - a luggage shipping service for students, expats, holidaymakers and business users.